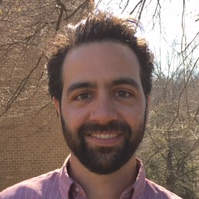 Michael Guerette has joined Carnegie as a postdoctoral associate. He is working with Tim Strobel on the New Solar Materials project in EFree, specifically Si24 synthesis and property investigations. Previously, Michael was a postdoctoral researcher at Rensselaer Polytechnic Institute, where he received his Ph.D. in Materials Engineering in 2014.